TriumphTR7.com pits our wedge against it's adversaries! 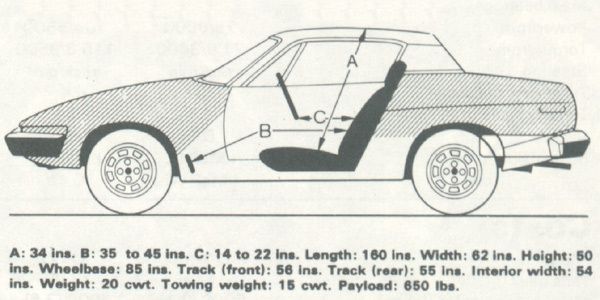 Okay lets stress from the start that I've never been in a Fiat X1/9!! Though I will confess to having been driven in a MX5 and also an MGB GT, the latter I felt as if I'd just been promoted from a Rover 45 and the former I felt very embarrassed at the though that people would think I'm a hairdresser!!
. Wrong - it was the Fiat that came first. Prototypes of the X1/9 were around before the close of the 1960s and the vehicle was available from Italian showrooms in 1972, large scale export commenced in 1974 and eventually  following the emergence of our own 1970 motoring wedge - arrived in RHD format for the UK in 1977. Looking at the two cars you can see some similarity  theres only two seats in each for a start! And both have a rather pointy front end and a stubby rear. The similarity really doesnt extend much further than that. 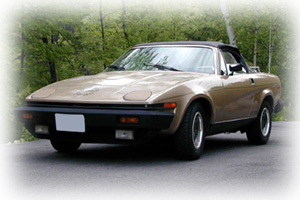 The TR7 was much longer (over a foot) and much wider, though the wheelbase on the Fiat was longer! 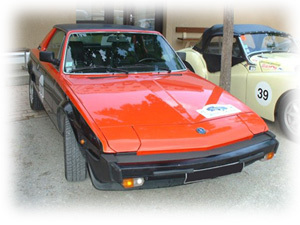 one of the three vehicles (along with the TR6 and GT6) that the TR7 was designed to replace! More alarmingly the Japanese had come onto the scene with the Datsun 280Z and then at the very dog-end of the 70s Mazdas rather attractive RX7. However it was with the Fiat that one can most obviously draw comparisons  though the Fiat had a much longer lifespan, all told being available for some 10 years longer than the TR7, lasting another 7 years after the cessation of the TR7/8 production. One wonders what may have happened had the TR7/8 line development continued  as the Toyota MR2 started as a project in 1976, before gaining momentum in 1979 (maybe sensing a gap to be vacated by the Triumph?) and finally emerging in 1984 (1985 for the USA and UK). 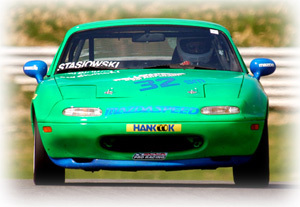 And then theres the Mazda MX5 (Eunos, Miata), though not emerging until 1989 the American father of the marque, Bob Hall, had already started initial designs at around the time that the plug was pulled on the Triumph TR7. Taking the latter scenario was something that the UK magazine 'Sports Car Classics' did in November 2003 when comparing the revised Mazda MX5 against the Triumph TR7 DHC! The reviewers opinion was quite surprising with a very favourable report for the TR7. again on cost grounds. And, in an almost infamous test, the X1/9 was picked as the prettier car by females at a pub in London!! 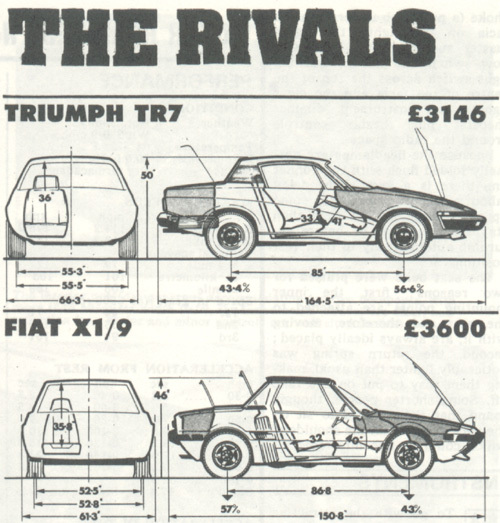 Bearing these factors in mind surely the X1/9 won hands down against the Triumph TR7? Virtually every journalist to test the TR7 has commented on the interior space and comfort and against the smaller Fiat there really is no contest. The TR7 driver can be closer to the pedals than the Fiat pilot and can also be up to 4inches further away, and the same goes for the steering wheel where at a maximum reach of 19inches you could feel somewhat cramped in the Italian vehicle.